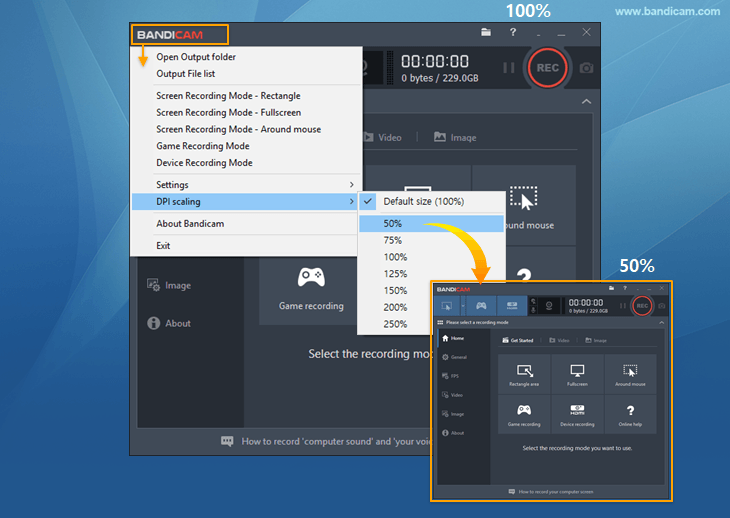 The Bandicam window allows the capturing of games/streaming videos that use the DirectX/OpenGL graphics technologies, as well as configuring the main settings related to Bandicam. You can open the register window, output folder, online help page. 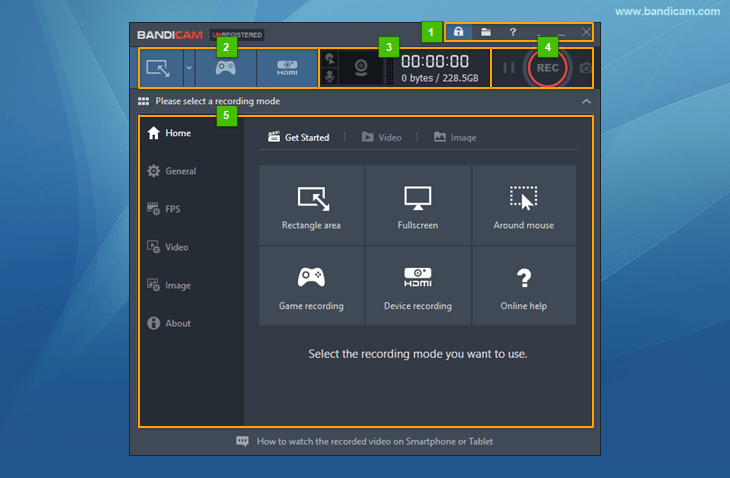 You can select the recording modes (Screen Recording, Game Recording, Device Recording). You can check the mouse/microphone status, duration of the video, file size and the maximum recordable size. You can click the record/stop/pause button and image capture button. You can configure the Bandicam settings and use more advanced functions. You can change the Bandicam window size (50% to 250%) with the DPI scaling function. You can minimize Bandicam to the taskbar or the system tray.